The last word in the Old Testament is the word "curse." One of the purposes of the Old Covenant was to prove to human beings that apart from the Lord's help we are incapable of keeping God's law. The last sentence in the New Testament is a benediction, "The grace of our Lord Jesus Christ be with you all." In Old Testament times God's people were assured again and again that a Messiah would come. The New Testament opens with the message, "He is here; the Promised One has come." The Gospel of Matthew was written by a tax collector named Matthew (also called Levi). 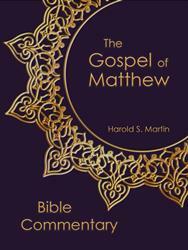 Of the four Gospels, Matthew is the most systematic in presenting the teachings of Jesus. 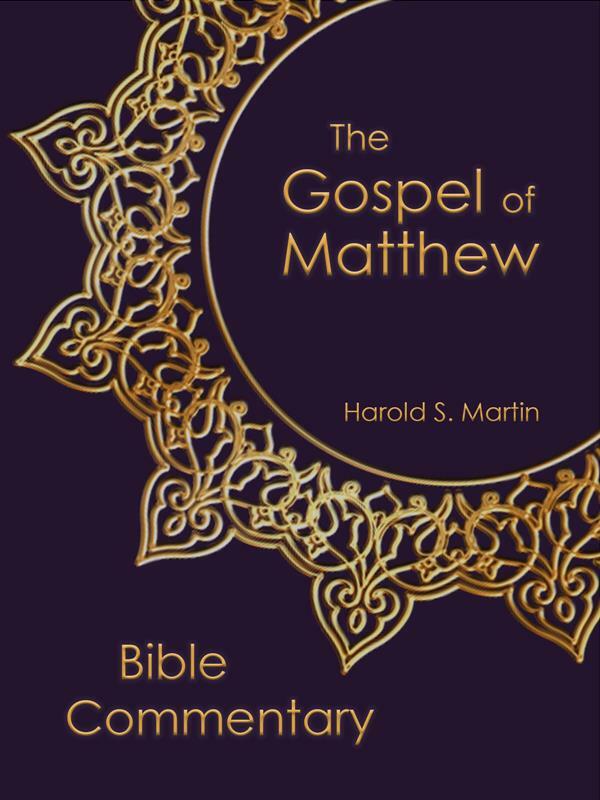 The book of Matthew was used almost universally by the early church as a source book for instructing new converts in the faith. The book of Matthew easily divides into five main sections which should help readers capture the broad message of the book. The Lineage, Birth, and Credentials of Jesus are spelled out in chapter 1 through 4. The birth of Jesus is described in chapters 1 and 2. Care is taken to safeguard the moral character of Joseph and Mary. Popular accounts of the visit of the wise men often contain factual errors. Chapters 3 and 4 describe Jesus' baptism and temptation in the desert. The three-fold temptation of Jesus proved His worthiness and ability to redeem sinners. The Ministry of Jesus in Galilee is the long major section in Matthew (chapters 5 through 18). These chapters center on the works of Jesus and on the messages which Jesus taught. One of the distinctive characteristics of Matthew's account is that he records five of the most important discourses of Jesus. The Sermon on the Mount in chapters 5 through 7 does not so much show the way of salvation, as it does how the saved should live. The physical miracles recorded in chapters 8 and 9 are typical of spiritual cures. The disciples whom Jesus called (chapter 10) were of humble origin and not highly trained men. Strong opposition to Jesus is mentioned in Matthew 11 and 12. The parable teachings of Jesus are given in chapter 13. Jesus reassured and instructed His disciples in chapter 14 through 18. The Journey of Jesus to Jerusalem is the focus of chapters 19 and 20. Jesus left Galilee for the last time and headed toward His crucifixion in Jerusalem. The events described in these chapters occurred only a few months before Jesus went to the cross. During this time Jesus explained some of the great questions of life. He spoke about divorce and taught about the dangers of setting one's heart on material goods. Jesus portrayed rewards for faithful service and set forth the pathway to greatness. In chapter 20:28 He spoke of His death as "a ransom for many." The Ministry of Jesus in Jerusalem is depicted in chapters 21 through 25. The multitudes welcomed Jesus into Jerusalem, but the Jewish leaders were envious and argued with Him. He explained that the greatest commandment is to love God. In the last part of chapter 22, Jesus responds to a number of quarrelsome questions—a political question about paying taxes, a doctrinal question about the resurrection, an ethical question about the Law of Moses, and a personal question about the Messiah. In chapter 23 Jesus denounces the false attitudes of the Pharisees, and in chapters 24 and 25 He announces that He will soon leave the disciples, and that those remaining should constantly be looking for His return. The Crucifixion and Exaltation of Jesus is the focus of chapters 26 through 28. The final days of Jesus' time on earth are told. Familiar events include the prayer in the Garden of Gethsemane, the betrayal by Judas, the Last Supper, the trials before the Crucifixion—all of which are then followed by the crucifixion, the burial, and the resurrection of Jesus. But the story does not end with His death and burial! Jesus arose from the dead and then He encouraged His disciples to continue His work by making disciples of all nations. Some of the distinctive characteristics of Matthew are these: 1) Matthew frequently quotes the Old Testament (65 times). 2) Matthew uses the phrase "kingdom of heaven" more often than "kingdom of God." 3) Matthew is the only one of the four Gospels in which the word "church" is found. 4) Matthew emphasizes the teachings of Jesus. 5) There are a number of events mentioned only in Matthew—including the journey of the Magi, the flight into Egypt, Herod's decree to slay the male infants, the dream of Pilate's wife, and the bribery of the Roman guard to spread the rumor that Christ's body was stolen by Jesus' disciples. 6) There are a number of parables mentioned only in Matthew—the wheat and tares, the net and the fish, and the wise and foolish virgins. 7) There are some miracles named only in Matthew—the healing of two blind men and the coin found by Peter in the fish's mouth. Matthew was one of the Twelve. After his firm choice to become a disciple of Jesus, he walked with the Lord. In the book of Acts, after Christ's death, resurrection, and ascension he is still numbered with the apostles, waiting for the coming of the Holy Spirit (Acts 1:13).